Three months ago, the Autos Topic on HubPages began to see a surge of fantastic guides and articles. Behind each Hub was the same man: Mkjearn. 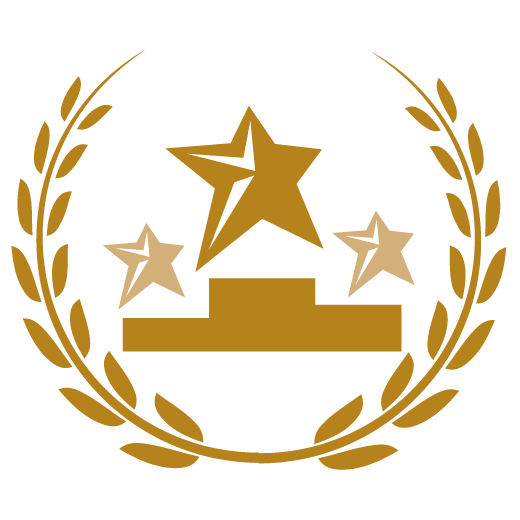 Over the next days and weeks, Mkjearn wowed the HubPages community with his swift success (he is both a HubNugget and Hub of the Day winner) and enthusiastic involvement in special programs such as Weekly Topic Inspiration. Who is this passionate car expert and what brought him here? In the following interview, you will discover that this Hubber discovered HubPages after contending with a series of career setbacks- and turned over an exciting new leaf! How did you first discover HubPages? I was made redundant like so many others in recent times and was unable to regain employment, even after 300+ applications and many of these were for overseas positions. I had been self-employed before, with my own garage but had no funds for another start up, so I decided to look online for opportunities. I should perhaps say that I have spent the last six or so years online buying parts for my cars and motorcycles from all over the world, mainly through Ebay, so I was aware that there were online businesses in my particular field. That said, I certainly didn’t think at that time that I could earn money writing, nor did I think I could write. The jury is still out on this I think, but I am very encouraged by the comments I’ve had already and firmly believe that in time I could become a writer. I “stumbled upon”, (my apologies, it’s very hard to ignore this phrase when it’s the truth) freelance writing sites and sites that paid for articles and thought, well I have a lot of particular knowledge but can I actually explain what I know in print and in a way that others would understand and enjoy? After many days and weeks of reading reviews on this topic and so many out bursts of “oh you have got to be joking,” mainly with regard to being paid, I found HubPages, and oh, what a good day that was. So, as perhaps with many others here, I found HubPages by chance and my overall positive outlook on life has been restored and the pressures of being unemployed and lacking basic finances have all but slipped into the background. As with everything I contemplate becoming a part of, I do research, more research, and then even more research. I have been doing this all my life and believe it has stood me in very good stead. In this particular case as I had never written anything before I was looking for a site that would welcome wannabe or complete novice writers. This is an industry that I know precious little about and the terminology was and still is a whole new language. I like to learn the rules and protocols of all new things I try for two main reasons. I want to become good at whatever it is I try and I especially do not wish to disrespect those experienced in whatever field it is through my lack of knowledge or mistakes. Having read many impressive independent reviews of HubPages in which it is regarded as the best online article writing site and community, along with the fact that “Mr. Google” loves and respects it highly, only a fool would go elsewhere to begin their writing career, in my humble opinion of course. From early on in your HubPages career, you’ve been involved with the community and special programs like Weekly Topic Inspiration. What tips on getting engaged can you offer to other new Hubbers? HubPages is not only the best writing site on the internet, it is a world wide happy family or amazingly friendly community. If you genuinely get involved and show that you are trying, other Hubbers will bend over backwards to help you. Be polite, sincere and respectful as you would as a newbie in any situation. Ask good questions, give good answers, leave meaningful comments, follow Hubbers you are genuinely interested in, and always leave Fan Mail. As a newbie I roamed around, hopped Hubs, read many other Hubs, perused Questions and Answers, popped into the Forums and then, what a find, what a godsend, what an absolutely amazing tool, I found The Learning Center. The Learning Center, a one stop shop for everything any wannabe writer or serious Hubber wants to or should know. In life I am like a dog with a bone when I get the bit between my teeth to learn something new. In most cases I am relentless and stay with something until I am very good at it. My partner says that I am the most stubborn so-and-so. She uses many different endings and most are probably true. I prefer to think I am determined, driven, resilient, and resolute. That said I’m sure my partner is right; I’m just a stubborn little man. This bit is true and many might say “You’re mad” but I spent 3 days reading every entry in the Learning Center, making notes and rereading several topics before I published my first Hub. Like any apprentice you have to serve your time and I can’t recommend the Learning Center enough. I get very frustrated when other new Hubbers ask the most basic questions that are comprehensively answered in the Learning Centre, so I can only assume that this must really irk those HubPages staff who spent so much time and effort in producing this essential fabulous feature and I sympathise greatly. So my inspiration to join HubPages came from many respected independent reviews, HubPages’ easy navigation and features, and most importantly HubPages’ sincere invitation and assistance to become a great online writer. The Learning Center is the most amazing teacher and free invaluable source of all you need to know to become an online writer. Put simply and sincerely, HubPages rocks. Most of your Hubs are about cars and car maintenance. How did you become such an expert? I was born and raised in Belfast Northern Ireland about 5 years before the troubles or war started. From no age I was taking things apart in the home, the kettle, the toaster, the vacuum etc. I was the type of kid who didn’t try to put the square peg in the round hole. Oh no, I was the type of kid who reshaped the square peg to make it fit the round hole, problem solved. I moved on to petrol gardening tools and motorbikes. I worked on anything for anybody just to get knowledge and experience. I then went to training centres and learned machining and welding techniques. Some time after this I decided I wanted to become a fully qualified mechanic. Employment opportunities for Catholics at that time were difficult to say the least, so I took a work experience position in a Saab Dealership, six days per week for 9.00 pounds per week. Things were tough and there was no money to speak of, but I was happy, as I was were I wanted to be. I didn’t get day release to college for study so I did that at night. I worked at night anywhere I could and anywhere that was relatively safe and on weekends I worked in boat yards. When I felt I was ready I attended and passed the practical mechanical skills tests having previously passed the theory tests. Having passed both of these I was issued my Official National Craftsman Certificate and was now a fully qualified vehicle mechanic. Within six months I was contacted at work by the Official Motor Industry Department for the United Kingdom and Ireland. During this call I was told that I had obtained the highest results in both countries for the Mechanics Exams and that a special award was on its way. That was incredibly unexpected and naturally I had a very big head for a very long time! In some respects I was lucky that I got to work on so many different vehicles and this experience and knowledge has stood me in very good stead. I arrived at work one morning to find that the garage had been petrol bombed during the night as suddenly I was out of a job. I sold a car that I had bought cheap and repaired and used the money to rent a small premises. Within a month I had opened my own garage and was earning my own money. I was extremely happy for a while until one morning I was visited by some large unsavoury characters who said that it was in my best interests to contribute to the Prisoners wives, widows and orphans fund. I took some persuading and thumps and so it was settled. Along with this came an unofficial employee or watcher and unpaid, ask no questions, car work. This went on for several years until one day I closed shop and left Northern Ireland. I have no desire to go back but I am grateful that I became a damn good mechanic and I’m very proud of that. Which of your Hubs are most popular? My Hubs that seem most popular are: What is a Beach Buggy– a Kit Car– and a Trike. These are mainly fun quirky vehicles and not that practical for everyday use, but are something to wish to have or can serve as a hobby to take up when the funds are there. General car care and maintenance also seems to be popular, which is very good as I feel that I am helping people learn and care for their vehicles and maybe reduce unexpected breakdowns. Do you think they address a common car issue many people have? These vehicles are for the enthusiasts and home mechanics mainly. Many owners are members of car and bike clubs and love to show their vehicles at various public events. These vehicles capture most people’s imagination as they tend to be very different and not available in any showroom. The truth is a lot are very affordable and not very difficult to build as they come in kit form much like flat pack furniture. A lot of people seem to be genuinely interested in general car care and maintenance. I feel that in this area alone I can really help people and offer valued information. A lot of people would like to know how to care for their vehicles better so as to avoid large garage bills and also to get a good price when it comes time to change. With regard to Kit Cars, I think these vehicles fall into that life bracket of “I want” before our sensible practical heads take over. Perhaps maybe 1 in 100 will actually build or buy one or know someone who has one. At first glance most will want one and enquire about price and on hearing it the cogs will start to whirl and whizz and for hours maybe days it will hold a genuine interest but then the reality of daily life kicks in and the thought will be lost until the next car or bike show. This is so normal for many things in life. Some like art, some antiques, some markets and some of us cause conversations to stop and people to yawn when we say our interests are cars and bikes. You’re very good at including original images in your work. What tips can you provide to Hubbers looking to improve on that front? I’m not sure that it’s a case of being very good with images as apposed to luck. From an early age I was taking before and after photos of my work never thinking that I’d one day be publishing them on the internet. When digital cameras came on the scene I was in my element as I bought many car and bike parts from all over the world and it was so easy to send images to ensure like for like parts. First piece of advice that I can offer to other Hubbers is to search their photo albums and consider scanning them into their pics folders. You never know when an early photo of yourself is exactly what you will want for a particular hub. If they don’t yet have a digital camera then they really must acquire one as it is an essential tool for online writing. One of the other tricks I would suggest is to get into the habit of carrying it with you at all times. After all most are about the same size as a mobile phone. Once the habit of carrying a camera is mastered the next step is to master the habit of taking pics. To start just take pics of anything every time you go out and as time passes you will get better at taking shots you want or think that you will use in future Hubs. I mentioned at the start that for me it was a case of luck and in the image department this is so true since all of my work is right in front of me and the camera has its own place in the top drawer of the tool box. I can appreciate the difficulties for others when their Hub is on a topic that is not in front of them. What do you plan on Hubbing about in the future? Oh I think I’ll start to Hub on my other interests, knitting, washing and ironing. Oh yes I do. Well, I have to, as I live alone, though that’s not entirely true as Coco the black Labrador who adopted me about 3 weeks ago is now a permanent feature. I’m pretty sure she doesn’t iron, though. No seriously, I’m pretty sure it’ll be cars and bikes for a while and then probably boats after which I think I’ll move onto building. I think by then it will be time to retire or start Hubs on my other jobs some of which were rebuilding jet engines, green keeper, and making micro processors in a very large clean room for a very large American chip manufacturer. What are your more general HubPages and online writing ambitions? Lets see, general HubPages ambitions. Being modest, I would like to hit 1 million views in my first year. Achieve every possible accolade. Smash as many HubPages records as possible. 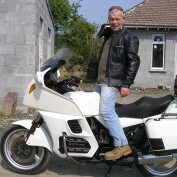 Be the go to car and bike guru on HubPages, after which I’ll be the car and bike guru for Mr. Google Become such a valuable HubPages community member that HubPages offers me a real job. I would also like my own ludicrously successful car and bike website second only to Top Gear, although if Top Gear were to offer me a job, I’d give up on this idea. As you’ve probably guessed I’m a modest little man with modest little ambitions or I’ve just got a great sense of humour or I’ve forgotten to take my medication again! Are there any particular messages that you would like to bring across with your work? On a serious note, I would like to help people with their transport needs. Whether it’s choosing the right vehicle or getting the right advice on maintenance. For too long the Motor Trade has had a bad rep which is self inflicted and I have no sympathy for the dealerships. Most people fear going to a garage and this shouldn’t be the case. There are honest, genuine mechanics in the world who take pride in their work and their trade. Regular maintenance plays such a huge part and helps to avoid those situations were the transport breaks down and the owner is under pressure to have it fixed and is therefore vulnerable to being ripped off. 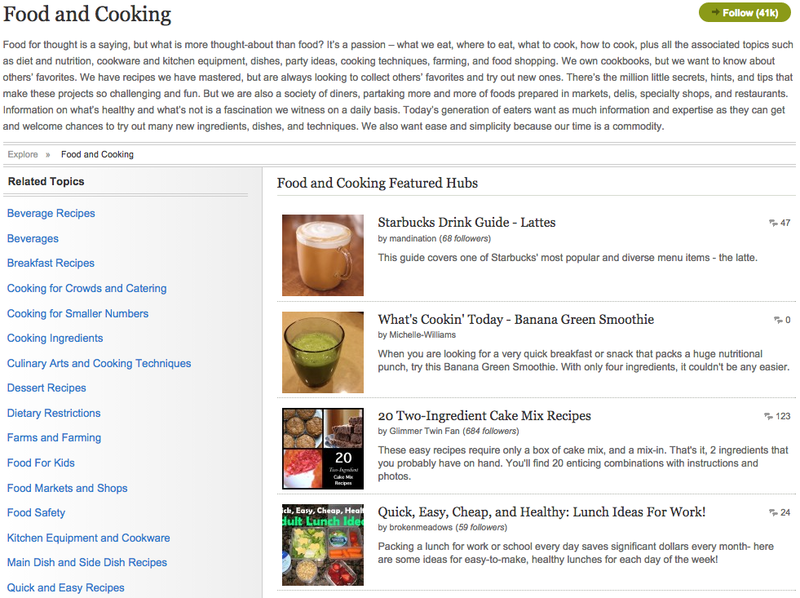 For a couple of years, HubPages has offered a special program called HubMob, which offers a new search-friendly topic each week that Hubbers can write on as a group. HubMob has been an excellent help to those looking for an extra challenge, a cure for writer’s block, or simply the opportunity to write in a more social setting. Last Monday, Princessa announced that she and the HubMob team will be retiring. On behalf of HubPages staff and the entire community, I want to thank team HubMob for everything they have done! If you enjoyed participting in the weekly HubMob, don’t worry- we’re rolling out its next generation this coming Monday: Weekly Topic Inspiration. 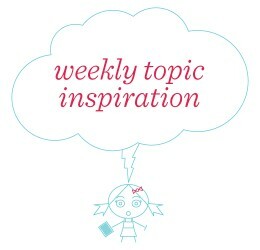 Weekly Topic Inspiration will be very similar to HubMob. Each week, we’ll post a sticky thread in the forums sharing a new topic and pointing to a question. All you have to do to participate is write a Hub on the week’s topic by answering that question. In addition to forum posts, we shall also be sharing the new topics each week as events on our Facebook page to make them more convenient. We encourage you to recommend new topics for future weeks by leaving suggestions in the forum thread or as comments on a Weekly Topic Inspiration Facebook event. If we choose your topic, you’ll be the Hubber to ask the question for the week! We will also occasionally offer additional guides and tips on how to cover a particular subject successfully in the online world, since we have found (and you may well have discovered) that some approaches work better than others. As I am settling into the HubPages community, I find myself floored by its amazing special programs! First I became acquainted with HubNuggets, which not only involves insanely hilarious weekly hubs but also fun voting and a chance for new Hubbers to step up and strut their stuff. Then I discovered HubMob, helping Hubbers bust through writer’s block with new and exciting themes every week. Next I came to meet the site’s wonderful HubGreeters, who make HubPages feel like a real, neighborly community, doing the online equivalent of bringing warm apple pie to new families on the block.